The best shopping in London is among the best in the world. 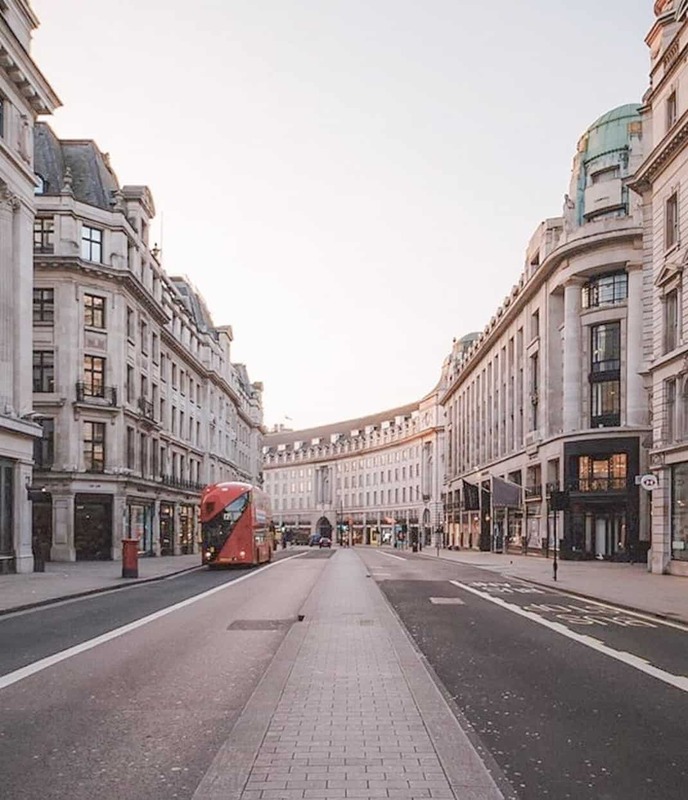 But with such an abundance of choice to suit every budget, it can be tricky to decide where to go shopping when you visit London. It comes down to taste, budget and time. London is renowned for its excellent and diverse shopping. But where is the best shopping in London to be done? 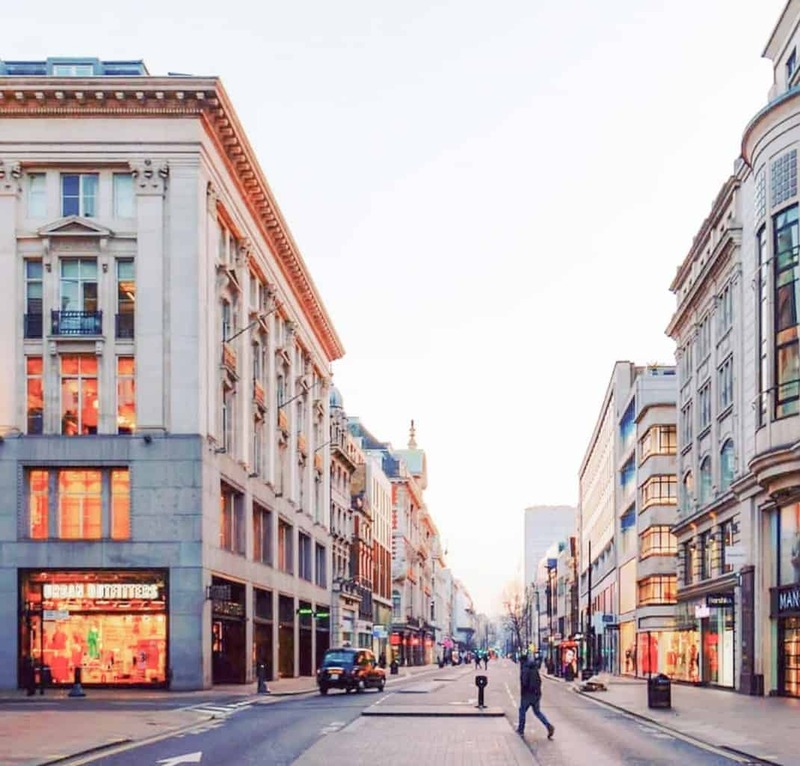 Locals and tourists alike flock to shopping hubs like Oxford Circus, Covent Garden, Bond Street and Harrods to get a taste of the famous shopping culture. Shops are open all week long, including late nights, making them especially convenient for Londoners who work 9-5. While it’s easy to find all the key high street shops in London, it’s a little harder to find more niche shopping locations. Think one-off vintage shops, luxury high-end stores and souvenir havens. 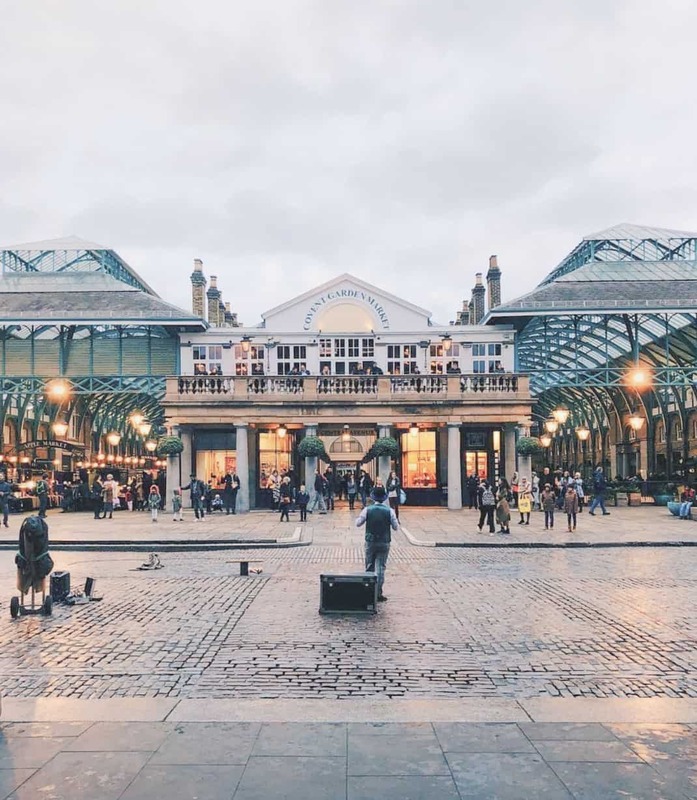 Read on to discover where to go to find all those places that make combine for the best shopping in London. London is a big city and while shopping, you always do more walking than you realise. Make comfortable clothes and shoes a priority for the day! Dress in layers if you plan to be going in and out of shops often, as they tend to have the heating on high – especially in the winter. Don’t forget to take an umbrella – you never know when it’ll rain in London! London’s shopping scene is incredibly popular as you’ll quickly discover from the crowds. If you want to avoid long queues for the changing rooms and tills, go early. The sweet spot is between 10am, when most shops open, and 1pm when workers come out for lunch. Lunch times and right after work tend to be the busiest. It’s best to avoid those times if you can. VAT is a 20% sales tax added to most goods and services. However, if you’re travelling for leisure, you might be eligible for Tax-Free Shopping. If that’s the case, be sure to ask at the till if its a tax-free shopping participating store. They’ll give you a special form (VAT 407) on request, to be certified at airport customs with the goods that you purchased and the receipts. 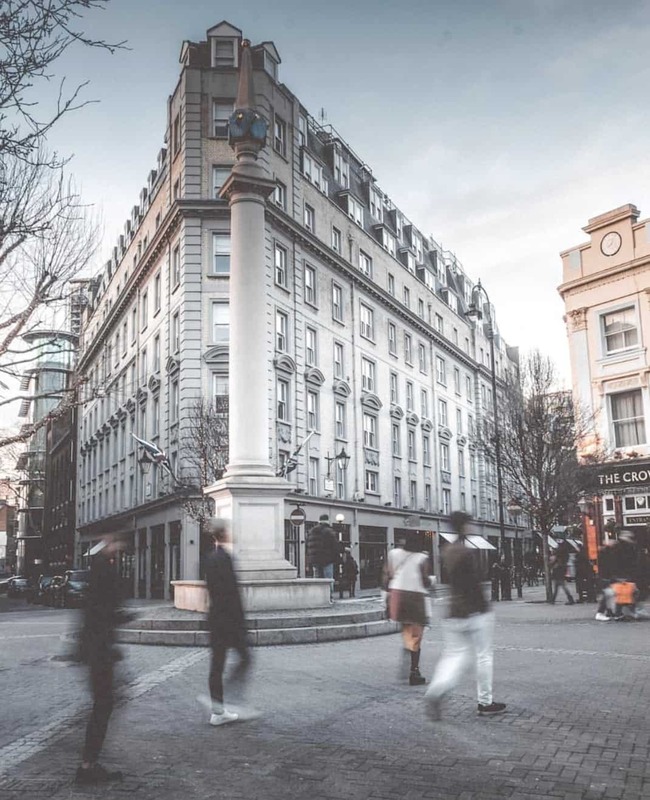 Bond Street and Mayfair are home to some of London’s most world-renowned shops. Here you’ll find the famous Selfridges – a department store operating since 1909, selling high-end goods. The Royal Family’s favourite food hall, Fortnum & Mason can also be found in Mayfair. 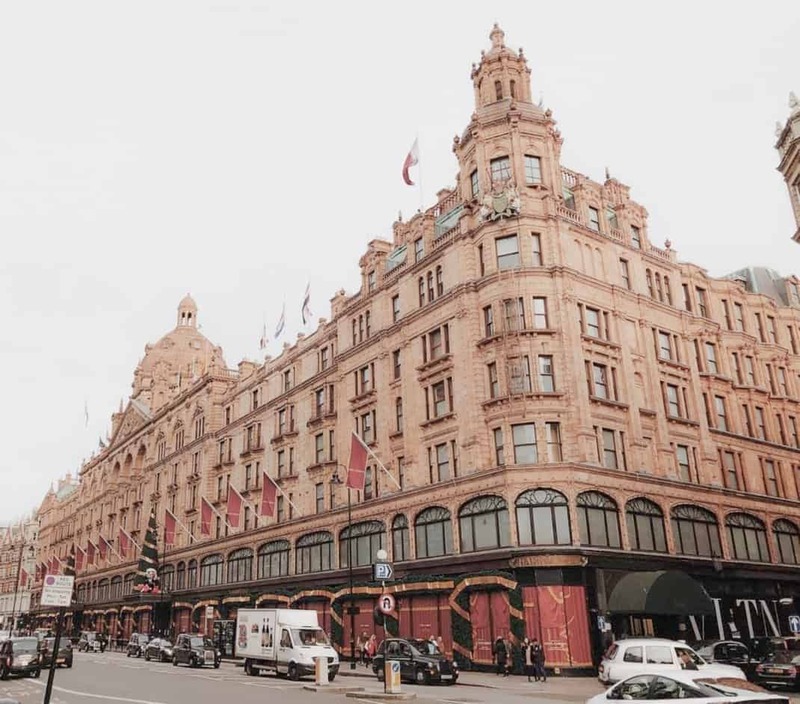 Louis Vuitton and Tiffany & Co. are found in the area, neighbouring other luxury favourites like Burberry, Vivienne Westwood and Stella McCartney. Harrods is the world’s most famous department store. 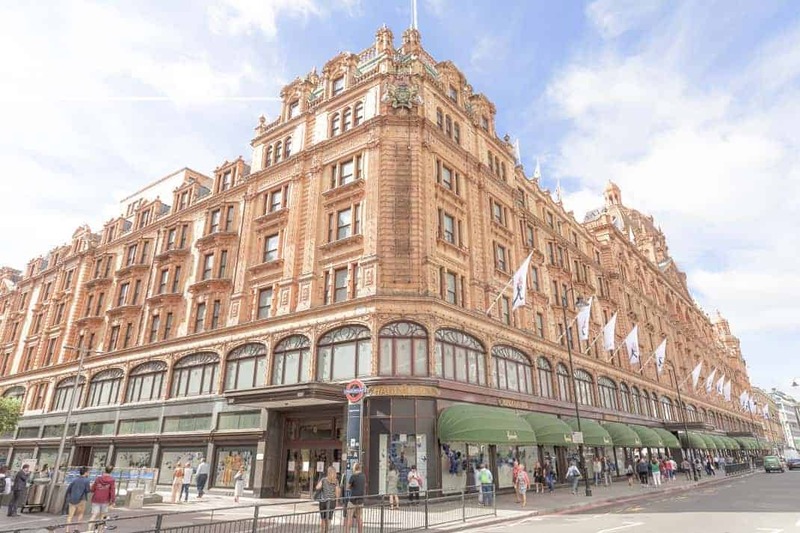 This luxury department store in Knightsbridge is over 90,000m2 and has 330 departments. Inside you’ll find an array of designer goods – from homewares and art to fashion, food and historically – pets. Harrods was once famous for being the go-to place for a pet tiger, amongst many other endangered species. Harrods is also famous for its Christmas window displays each year – a true spectacle not to be missed. 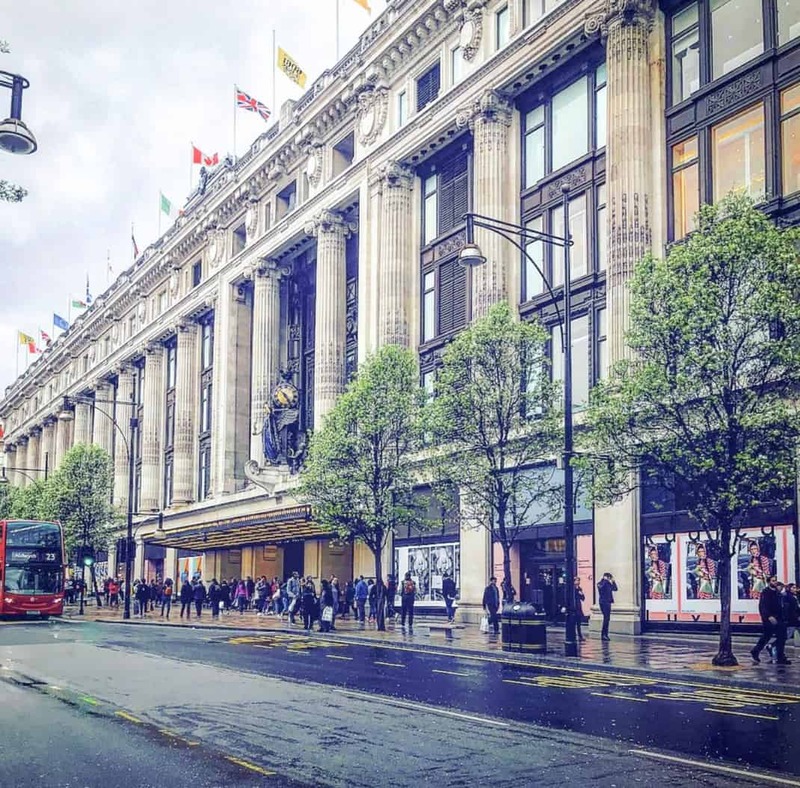 Regent Street is a destination in itself for its beauty and elegance. Here you’ll find a mix of luxury and high street favourites. Some of London’s oldest and most famous shops can be found in the area. The popular Liberty department store is found inside a lovely tudor-style building, while the famous Hamleys toy store is also nearby. Jermyn Street is historically renowned for men’s clothing shops and it’s especially well known for bespoke shirt makers and high-end shoe shops. 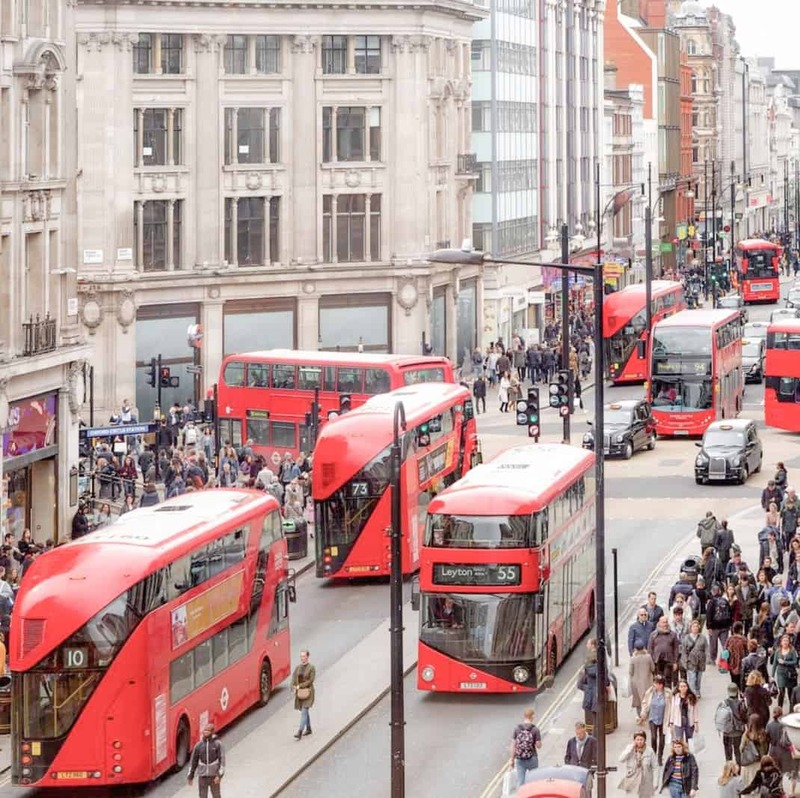 Oxford Street is one of the busiest, most popular shopping destinations in London. Due to its popularity with tourists, several big souvenir shops have opened up along the street. Here you can find everything from I <3 London t-shirts and hats to mugs, keyrings and postcards. Stroll along Oxford Street and you’re sure to find any London souvenir that your heart desires! 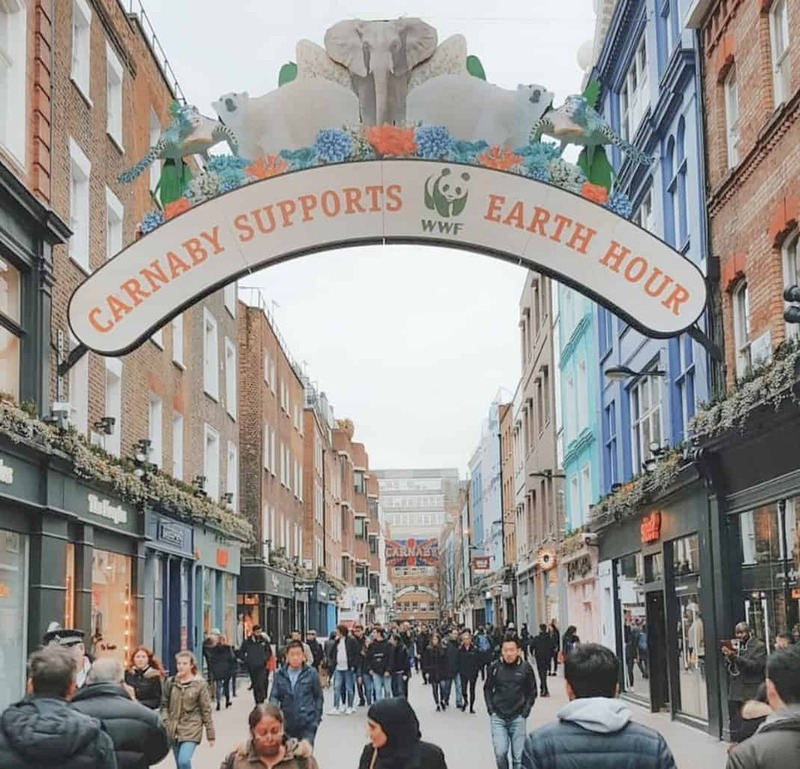 Originally started with just 16 stalls, Camden Market has grown over the years to become not only the most famous, but also London’s biggest market. Open 7 days a week, you’ll have over 1,000 stalls to explore. People flock here every weekend for the fashion, the music and the food. The market is filled with street food vans, independent retailers, pop-up bars, record shops and everything in between! Covent Garden ‘s market hall was built in 1830, but the square has hosted markets for centuries. Today, the iconic market building not only still stands, but it’s still home to one of London’s most popular markets. Head inside to discover a unique selection of handmade crafts and goods – perfect to find a special souvenir for home. If you love collectibles and antiques, be sure to visit on Monday when the market is full of them. Shoreditch is the go-to area for the best vintage shopping in London. Wander down Brick Lane to explore the many vintage stores. 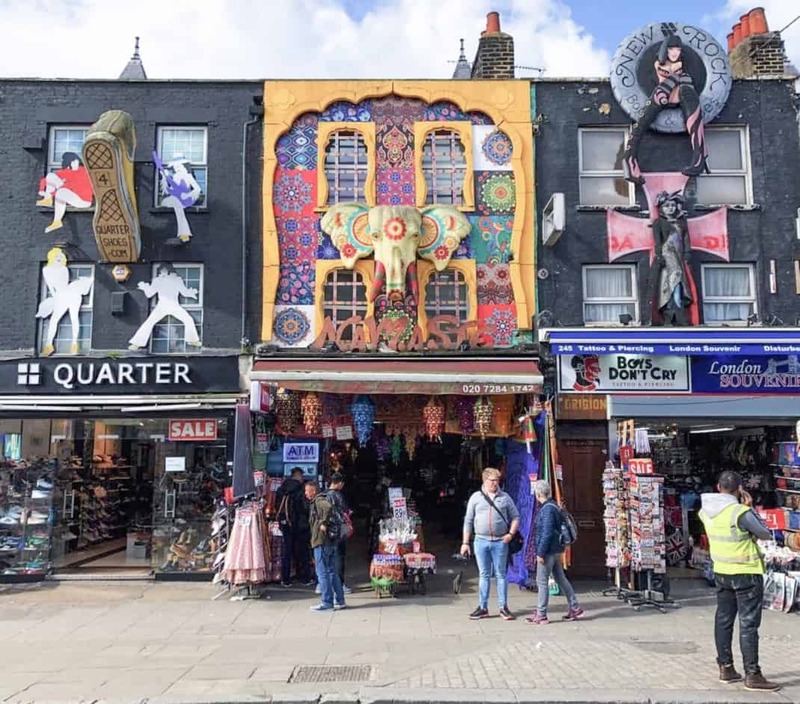 Hanbury Street and Cheshire Street are also particularly well known for their vintage shops – and they’re a little less busy than their Brick Lane counterparts. 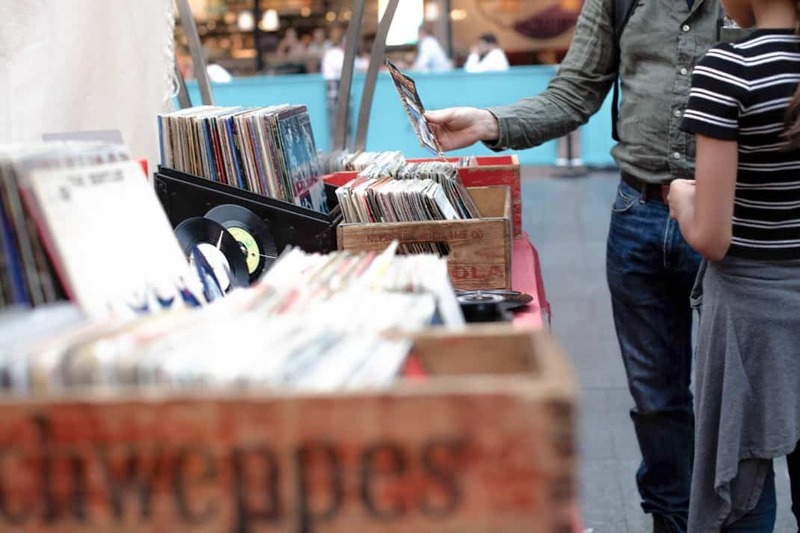 On Sundays you’ll find the area buzzing with the Brick Lane markets, with more vintage stalls scattered around too. 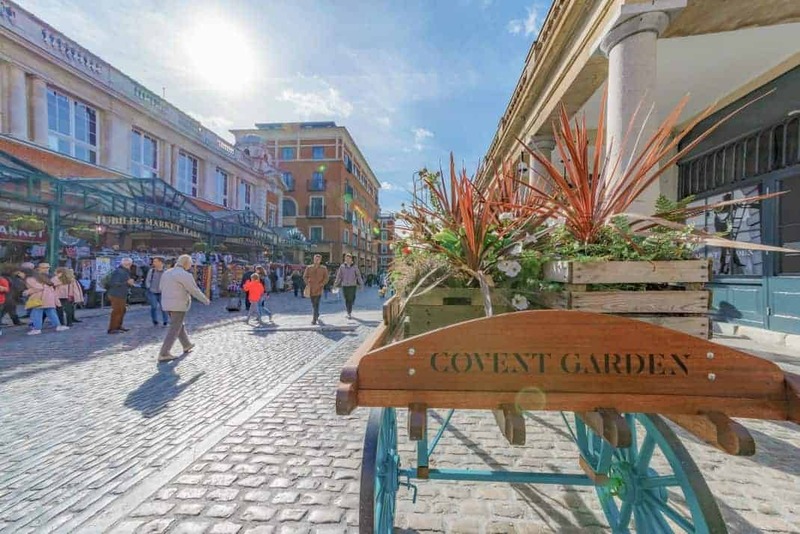 Just around the corner from the famous Covent Garden market you’ll find a hidden vintage shopping area. Scattered around the Seven Dials shopping area, you’ll find shops like WOW retro, Blackout, Rockit and the Vintage Showroom. As this is a lesser known area for vintage shopping, you’re sure to find a bargain! 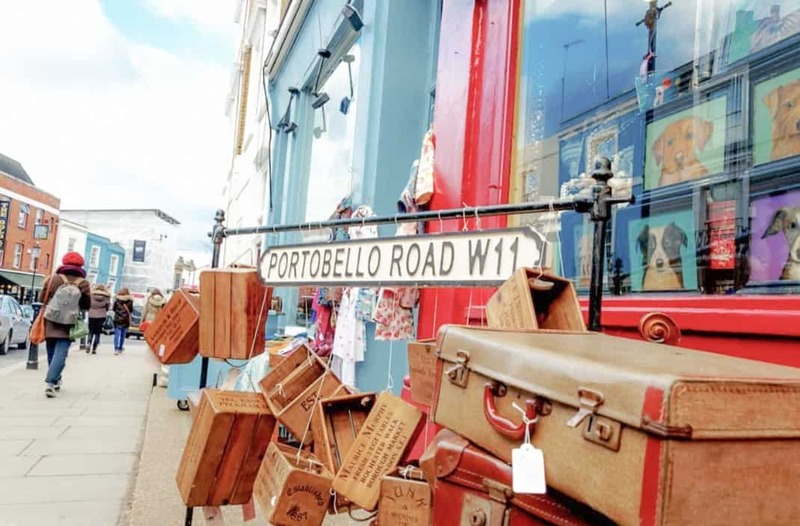 If it’s antiques you’re looking for, Portobello Road is the place to go. Portobello Road Market is the biggest antique market in the world! That’s quite a title. People come from all over the globe to walk the half-mile stretch and see what kind of bargains they can find. It’s a wonderful way to spend an afternoon treasure hunting for your next antique masterpiece. If you’re looking for your closest supermarket, chances are there will be a Tesco or Sainsburys nearby. 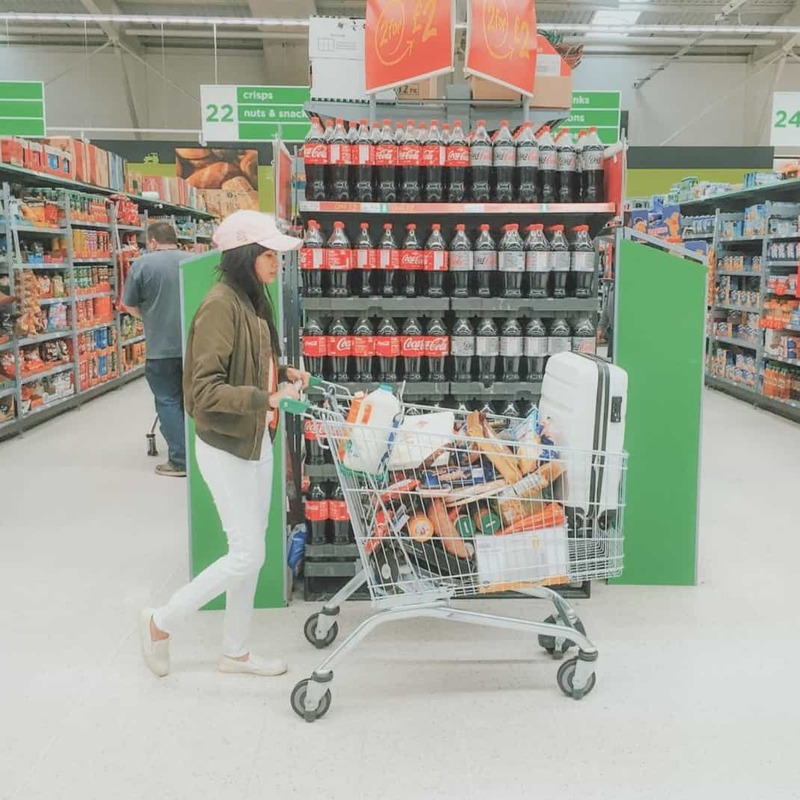 These regular supermarket chains are the most popular in London, and can be found in every neighbourhood. Sizes and ranges vary greatly. Try searching for them on Google Maps to find your closest one. For groceries that are a little more high-end, try Waitrose and Whole Foods. Both these supermarket chains cater to the more premium market. 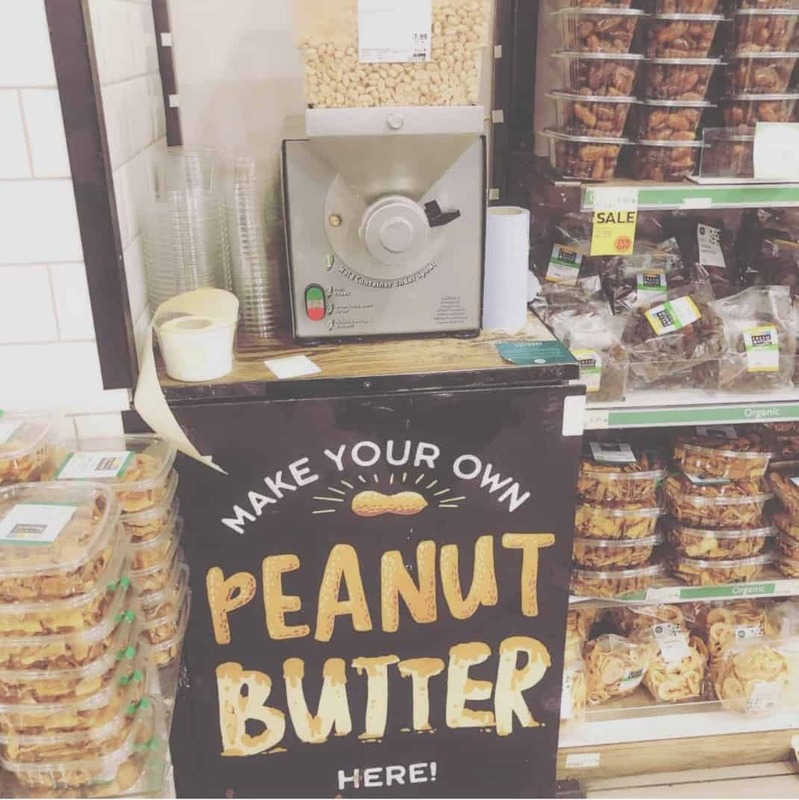 Whole Foods is famous for only stocking organic foods, while Waitrose has a little more variety, stocking high quality and slightly pricier goods. Waitrose can be found all around London – both big and small supermarkets. Whole Foods has a big supermarket in central London – just near Piccadilly Circus, as well as several other locations around London. For the more budget-conscious shopper, try the likes of ASDA, Lidl, Aldi and Iceland. These supermarkets are a little harder to come by than their regular counterparts like Tesco, however they are still found all around London. They’re more common in Zone 2 areas and beyond, rather than in central London. 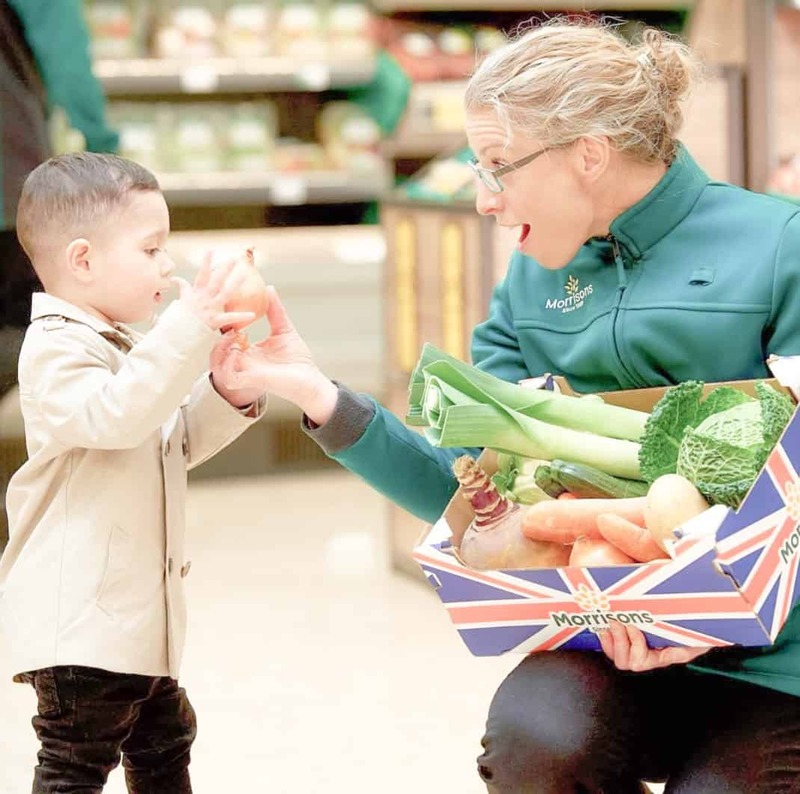 This range of supermarkets are well known for their affordable groceries – a bargain go-to!